Because it’s sporting a brand new look for 2016, brought to you by Brightspark! Oh we love projects like this: a non-responsive site in need of an overhaul, that had grown by being added to, frequented by a community of mainly developers, researchers, active citizens and public sector workers. What could we do for them? Loads! Loads I tell you…. The project began after we won the tender, we all held our breaths a little as we agreed the very tight timeline, before jumping straight in with identifying the key personas who use the site. You can see how we’ve presented the content they’d be most likely to use here. This is page is for app developers. Here’s a quick look at the home page, note the lack of sliders. That’s because our content is all killer, so there’s no need for slideshow filler! My belief is that people are jaded of sliders and no longer scroll through them. When was the last time you read everything on a slider on a home page? Yeah about the same time as you got your first smartphone right? Can you guess where in Dublin the image above is? Note the lack of convention centre/Beckett bridge-y-ness here. It’s practically got as much data powering it as NASA did when they first landed a man on the moon – and a still healthy load time. 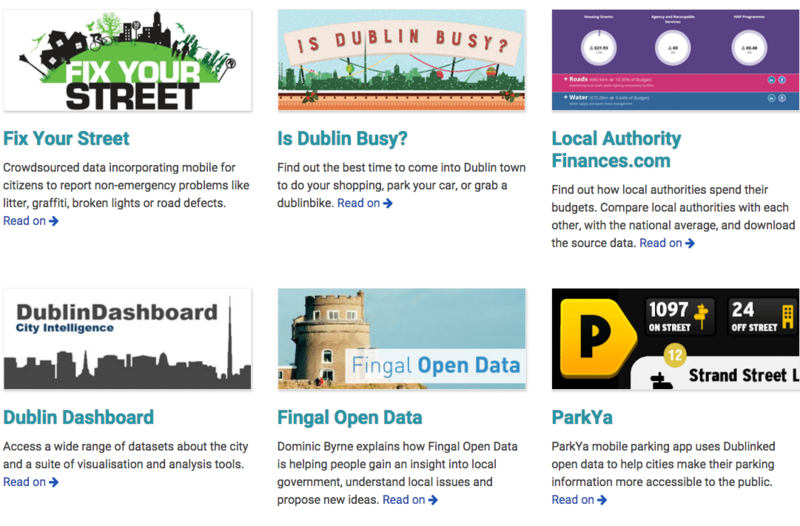 The “Right Now In Dublin” area on the top of the home page is powered by Dublin Dashboard and shows live data about noise, pollution, parking, traffic and property prices. The site resizes beautifully for desktop, tablet, and mobile – the full screen moves from a 3 x 3 col layout right down to 1 and everything in between. And of course it’s built on WordPress. Is plain English, friendly, informative. All traces of ‘dev speak’ have been banished, and equally an over emphasis on the word ‘citizen’! Every page is written to encourage specific actions that might appeal to the audience we are speaking to. And there are stories… yes data stories, tales of brave “citizens” who have gone out and explored and created beautiful things that are helpful and profitable and of use to the community. Brightspark really helped us focus on our key users, to tell their stories and to help them easily find the data they are looking for. I was delighted with the level of care and attention that Brightspark put into the site and they really pulled out all the stops to deliver a great site in a short timeline. This project has been a great source of learning for us. I’ve written before about how the passion and dedicated that Dublin City Council staff have to their work. But this project was a great example of project management on the part of Pauline Riordan, our client in Dublin City. While I PM’ed on our side getting the content and assets together, she had the much harder task of bringing not one, not two, but three sets of external developers together to have their link destinations built and in place for the handover – with Christmas holidays happening. No mean feat. And a job well done. 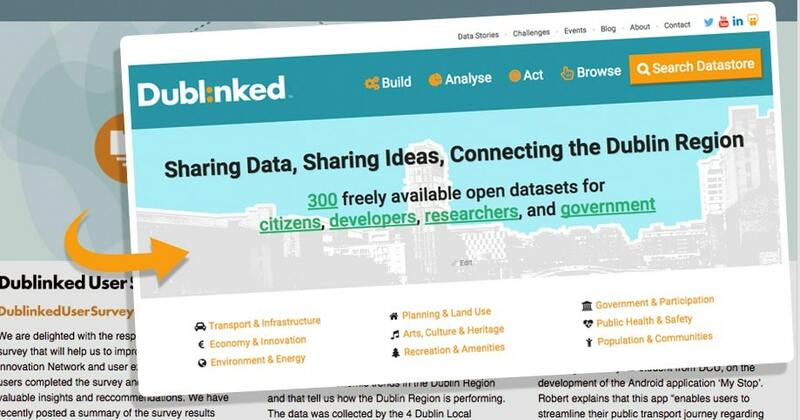 If you are interested in helping our city solve some of its problems, either by using your coding skills for good, or by simply taking part in citizen forums and getting your voice heard, then go and explore what Dublinked has for you. 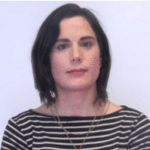 And if you have a site that was a little like Dublinked before its makeover – one that has grown a bit awkwardly, that needs to be updated, in super quick time by a crack team of experts – including star Heidi Jermyn – then get in touch. I was delighted with the level of care and attention that Brightspark put into updating the Dublinked site. They really pulled out all the stops to deliver a great site in a very short timeline. Thank you!